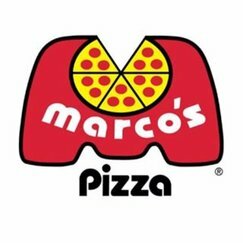 Paint with us at Marco's Pizza! As part of your ticket price, you will receive your canvas, all materials, step-by-step instruction and be entered in a drawing to win a door prize! Wine or beer will be available. We start painting at 6:30pm! Come early eat and be ready to paint! Seating is limited. People 18 years old and up are welcome to participate. *How to reserve your paint station: Lock in your reservation by purchasing a ticket. For purchasing by check or cash, you must make arrangements by contacting Sarah Thurstenson personally by using the contact form or calling 524-1389 or Facebook private message. Reserving through any other method or person is NOT guaranteed. 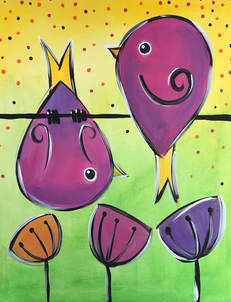 Paint these fun flipping birds with us at Chickadee's Fresh Fare Restaurant! Chickadee's is one of Siloam Springs newest restaurants and is known for their hearty, healthy whole foods and smoothies! As part of your ticket price, you will receive your canvas, all materials, and Chickadee's will provide hors d'oeuvres and party specials on alcoholic and non-alcoholic drinks just for us and our event! All painters will be entered to win a door prize, too! We start painting at 7pm! Come early get your food and favorite drink and be ready to paint! Seating is limited. People 18 years old and up are welcome to participate. Ladies join us for an OPEN invitation paint party! Don’t know how to paint or never painted before? I’ll lead you step-by-step through painting your own original work of art! Grab a friend or plan a fun date night and meet us there! Tickets are $30/per person and includes instruction, canvas, apron and all materials. Come a little early to find your spot. We start painting at 7:00pm! Find out more about canvas paint parties at www.sfnpaintparties.com. Contact Sarah Thurstenson at 524-1389 or Facebook private message to let me know you are coming and arrange payment. Cash, check and card accepted. **Reserving through any other method or person is NOT guaranteed. ​Present this card to be punched at every canvas paint party you attend and earn a FREE paint station (a $30 value)! Punch 5 and receive 50% off your next station or continue to collect your punches and your next paint station will be FREE! Request a card at your next party! Paint with us at the new Siloam Springs Library! 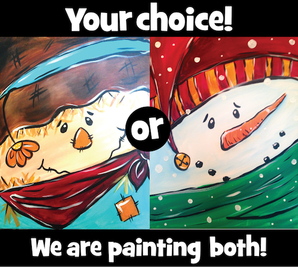 You will get the unique opportunity of choosing a Fall OR Christmas painting! Both will be led step-by-step! We start painting at 6pm (come early and be ready to paint). Cost is $30/per person and includes canvas and all materials. A contribution from the proceeds of this party will be given to the Library toward buying new art books. Refreshments are provided by Castle Pawn of Siloam Springs. Seating is limited to 20. People 18 years old and up are welcome to participate. No alcohol is allowed. *How to reserve your paint station: Register with the Library, but to lock in your reservation you must make arrangements by contacting Sarah Thurstenson personally by using the contact form or calling 524-1389 or Facebook private message. Reserving through any other method or person is NOT guaranteed. Join us for an OPEN invitation paint party! Don’t know how to paint or never painted before? I’ll lead you step-by-step through painting your own original work of art! Grab a friend or plan a fun date night and meet us there! Tickets are $30/per person and includes instruction, canvas, apron and all materials. A portion of the night's proceeds will be donated to Beautiful Lives and their many ministries to women in the Fayetteville area. Come a little early to find your spot. We start painting at 7:00pm! Find out more about canvas paint parties at www.sfnpaintparties.com. How to reserve your paint station: Seating is limited to 20. Make reservations here online or contact Sarah Thurstenson at 524-1389 or Facebook private message to arrange payment. Cash, check and card accepted. (Registration closes Thursday 8/3 at noon.) **Reserving through any other method or person is NOT guaranteed. How to reserve your paint station: Seating is limited to 20. Make reservations contact Sarah Thurstenson at 524-1389 or Facebook private message to arrange payment. Cash, check and card accepted. (Registration closes Thursday 8/3 at noon.) Reserving through any other method or person is NOT guaranteed. Other specials being honored: Painter Perks -this is a TWO punch party- and Birthday Bucks! Get $5 off if your birthday is in August! All SFN Gift certificates will be accepted.
. Private parties will pay through the hostess for their reservation. PAY NOW ONLINE: Reserve your paint station here by paying through Square online here. Make note of the party you are attending in the buyer notes. NOW booking for fall and Christmas parties!